Welcome to our NEW Retro Gamerooms website! We offer a wide variety of gameroom accessories including: Full-size arcade video games, pinball machines, slot machines, jukeboxes, neon signs, and classic nostalgic items. We also BUY these items, in any condition, as well. Feel free to browse our website, and replay the memories, with these unique gameroom classics that Retro Gamerooms has to offer! Arcade video games start as low as $300 and we have all the 80s classics on hand, Galaga, Ms. Pac Man, Donkey Kong, Frogger, and Centipede to name a few. We even have the BRAND NEW 60-game Multi-Game that plays all the classics in one cabinet! We carry the newer classics like Mortal Kombat, Golden Tee Golf, PGA Tour, Turkey Hunting, Area 51, etc. Sit-down driving games like Rush The Rock, Crusin' USA, and LeMans 24 are also popular. Pinball machines start at $650. 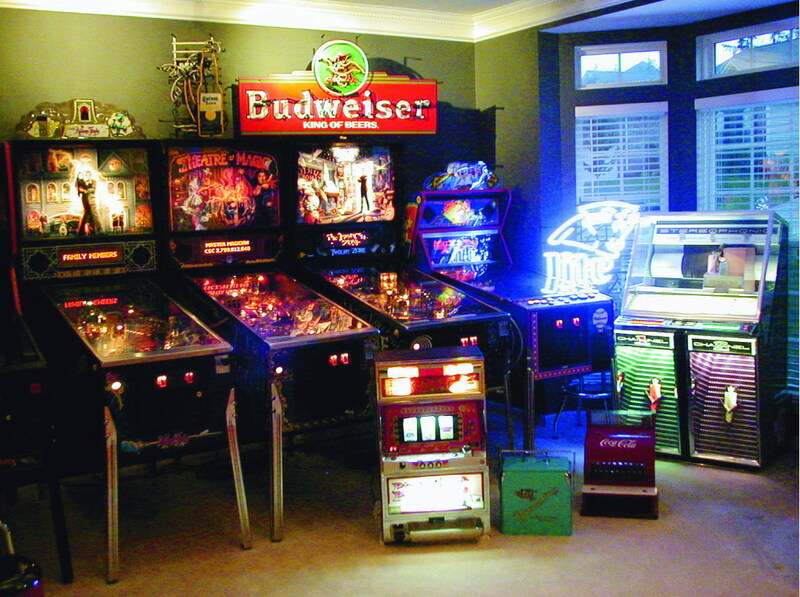 We have antique pinball machines like Fireball Classic and Stock Car up to the newer machines such as Terminator 2, Addams Family, and Carolina Panthers. Jukeboxes start at $800. There are 45 RPM models available, and also newer CD jukeboxes including the round top "Bubbler". We have slot machines and countertop touchscreens starting at $375. We have a good selection of neon bar lights, pool table lights, beer mirrors, etc. Carolina Panthers neon signs are also available. We have arcade machine leasing options for your business, as well.